Care provider RCH was celebrating this month as it officially opened its first acquired brain injury centre in Bedfordshire. Manton Heights ABI Unit, situated off Manton Lane in Bedford, will join the group’s ten older persons’ care homes and a supported living service in the east and south east of the country. The brand-new, state-of-the-art centre was officially declared ‘open’ by the RCH Care team and invited guests on Friday, 23 November 2018 and will provide life-changing support to people who have acquired or traumatic brain injuries – often the result of a range of illnesses or incidents such as a stroke or car accident. 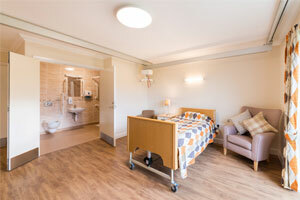 With an expert team of consultants and therapists, the unit will care for up to 14 residents – providing a range of dedicated care, support and tailored therapies specifically personalised to aid each resident’s on-going rehabilitation. 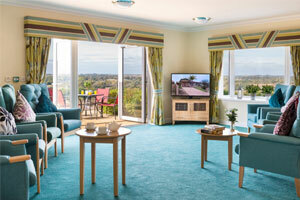 Its homely lounge and dining room, spacious en-suite bedrooms, homemade meals and an IT suite/games room, support residents to feel comfortable and at home whilst benefiting from specialist facilities such as tracking hoists, a rehabilitation therapy room, independence kitchen and two bungalows for people to live in for a period of time prior to them returning to independent living. Unit Manager Tina Colley added: “Acquired and traumatic brain injuries can be simply devastating for the person and their family and friends. Someone can go from leading a completely normal life one day to having to rely on others for their every need the next due to an accident, illness or incident which has left them with brain damage. For more information about Manton Heights ABI Unit please visit www.mantonheightsabi.co.uk or call Tina and the team on 01234 213 686.